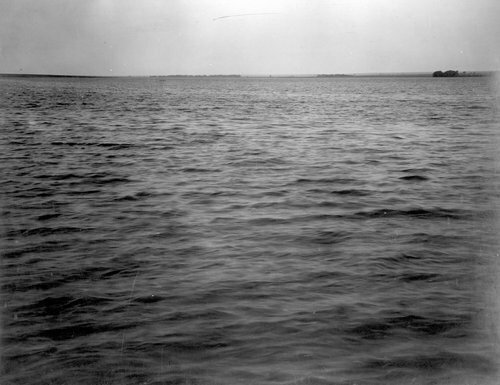 A photograph showing reservoir No. 5 in Finney County, Kansas. It covered 3,200 acres, had a capacity of 2,352,000,000 cubic feet, and was six miles long by one and a half miles wide.